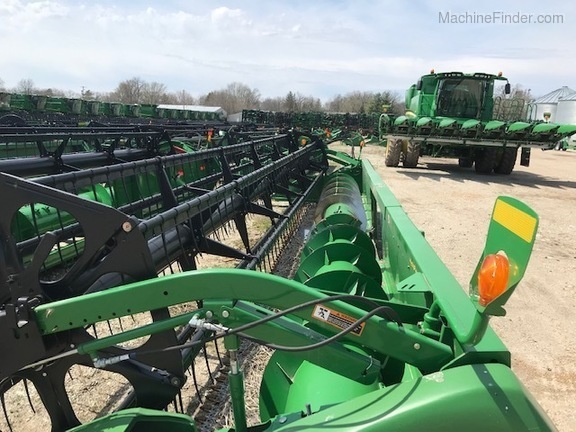 Description: full finger, single point,poly, f/a, das, stubble lights, low acres, nice head. Call, email, or visit sloans.com for the current location of this item. Other websites show the location as Assumption, IL or Monroe, WI, while it may be at any of Sloans 20 stores. 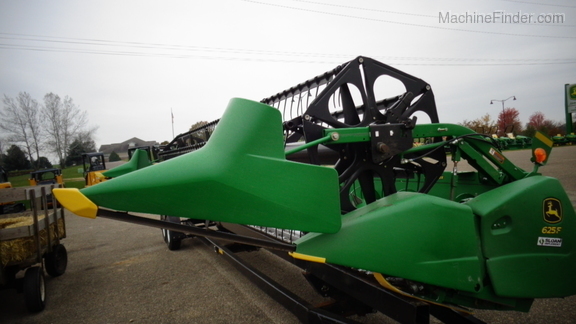 Description: 2005 625F full finger platform, HH sensor, short dam, long/long sections. 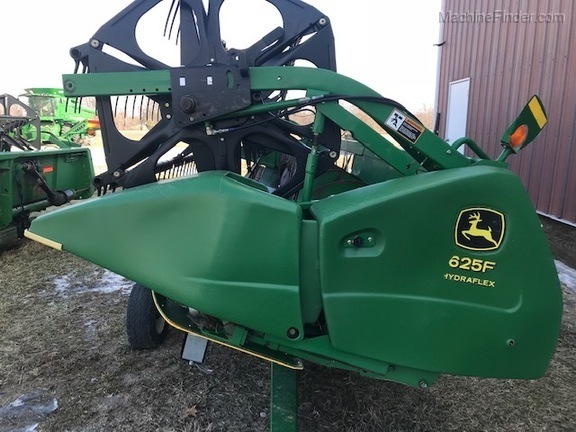 Description: 2009 625F platform, full finger auger, composite fingers, poly underneath is good, single point hook ups, header height sensing, stubble lights, reel fore & aft. 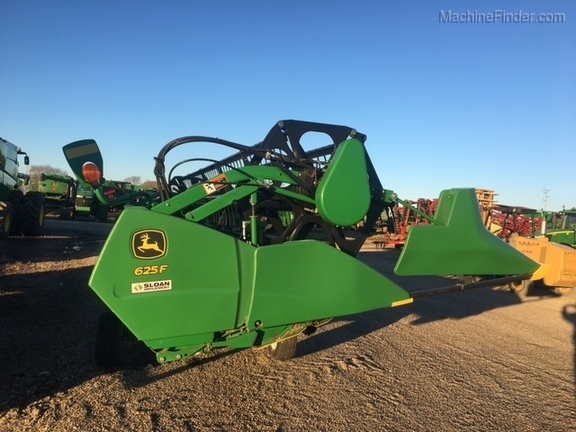 Description: 2010 JD 625F FLEX HEAD SINGLE POINT HHS FULL FINGER.